We are one of the trusted Plastic Mould Steel Suppliers in Delhi. From the point of view of marketing, shipping, and handling, our products are securely packed in top-grade supplies using ultramodern packaging machines. The packaging is extremely reliable. Buyers are required to place orders; timely deliveries of consignments are our primary concern. We are counted amid the dependable P20 Steel Plates Suppliers as we source them from renowned manufacturers or vendors only. If you are looking for high-quality Plastic Mould Steel in Delhi, then we are the noted P20 Steel suppliers in Delhi whom you can contact. 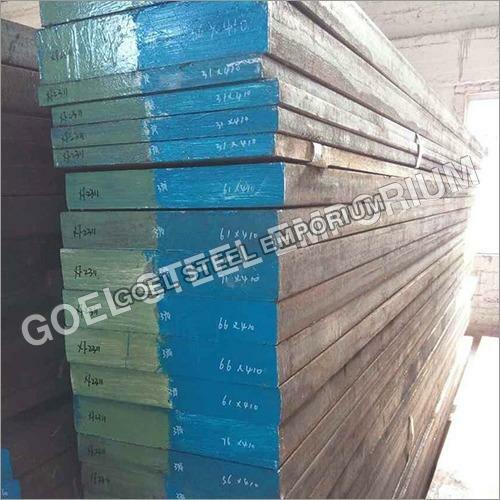 We offer plastic steel plates at the most competitive prices. You can place bulk as well as urgent orders with us and we deliver the orders within the stipulated time frame. Applications : P20 is suitable for general toy mould, lower core of small / medium plastic mould (inner mould ), and Test mould for plastic products. The steel is 100% subject to ultrasonic defect detection and free of air bubbles and sir porosity. The steel is supplied in pre-hardened state (30-36HRC) and suitable for direct moulding.